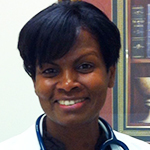 Lilieth is a board-certified nurse practitioner who has expertise in family medicine. Over the course of her career, she has assessed, diagnosed and treated a wide cross-section of patients across different age groups, from infants to geriatrics. Lilieth has extensive background experience in Emergency, Cardiovascular, Gastrointestinal, Pulmonary and Endocrinological Medicine. She has been successful in helping many patients with managing their diabetes, hypertension, and weight with lifestyle changes and administering patient care in different areas of nursing inclusive of emergency room, intensive care unit, telemetry, recovery room, and cardiac unit. Lilieth has acquired skilled proficiency in performing a whole gamut of procedures, including laceration repairs, joint injections, incision and drainage, splinting, earwax removal, suture removal, skin tag and wart removal among others. Lilieth’s passion for healthcare is not restricted to medical facilities alone but extends to her goodwill work in the larger community as well. She actively volunteers her services for various missionary programs, traveling to some of the most disadvantaged countries with underequipped medical facilities. Her passion for helping others reach a healthy lifestyle has been displayed in taking the extra time to educate her patients about their conditions and preventative measures. She connects with her patients on a personal level and cares not only for their physical well-being but their mental and spiritual health as well. Locum Tenens Family Nurse Practitioner at Western Wisconsin Health, Baldwin, WI. Family Nurse Practitioner, Darryl Strawberry Drug and Rehabilitation Facility, St. Cloud, Fl. Coordinator for Medical Mission trip to Jamaica and volunteered on medical mission trips to Haiti, Guyana and Nicaragua.